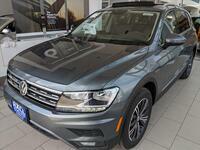 The 2017 Volkswagen Tiguan is a compact crossover that seats five passengers. For the new model year, Volkswagen got rid of the SE and R-Line trims and replaced them with Wolfsburg Edition and Sport models. Other changes brought to the new model year include a 6.3-inch touchscreen that is now standard on all models as well as VW Car-Net apps. 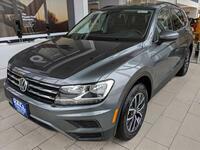 The Tiguan proves to be a crossover that is modern, stylish, well-equipped and practical for anyone looking for a larger vehicle. 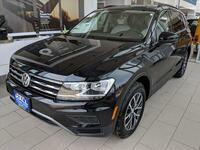 If you are in the market for a new SUV the 2017 VW Tiguan is definitely worth checking out. 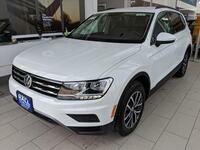 The 2017 Tiguan is powered by a 2.0-liter turbocharged engine that is good for 200 horsepower and 207 pound-feet of torque. 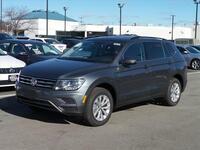 A six-speed automatic transmission and front-wheel drive are standard but all-wheel drive is optional. 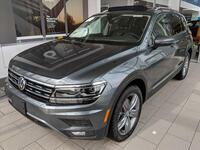 Volkswagen's 4MOTION all-wheel drive provides the Tiguan with improved handling, which means it can handle a variety of inclement weather and challenging road conditions which is perfect for those Wisconsin winters. The Tiguan was designed to provide drivers and passengers with everything they need to make their every day travels easy. The 40/20/40 split sliding rear seats and adjustable seatbacks fold down easily for maximum space. 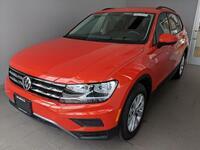 The Tiguan offers 23.8 cubic feet of cargo space and a maximum of 56.1 cubic feet with the rear seats folded down. VW gives the Tiguan roof rails to make it easy to haul all of your favorite accessories such as bikes, kayaks or whatever else. 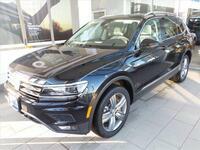 If you are interested in learning more or test driving the 2017 VW Tiguan, please contact us at Hall Volkswagen. Located in Brookfield, WI we are a quick drive from Waukesha, Milwaukee and the surrounding areas. 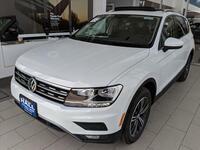 Give us a call or stop in today to talk with a sales team member about the new 2017 VW Tiguan.